It's on again! We’d like to invite you to the Thredbo Fly Fishing Festival 2015. This FREE event will take you through the basics of fly fishing including basic and distance casting, equipment and fly tying and there will even be a casting competition with a prizes and BBQ. Bunnamagoo Wines will be offering complimentary tastings at select events over the weekend. This is a great weekend to learn or improve your fly fishing skills so make sure you get in early and don't miss out. Take advantage of great accommodation deals and stay in Thredbo Village across the weekend. Starting from just $185* per person per night you'll get accommodation, breakfast and a weekend of casting, wine and some new fishing friends! Learn all the skills and tricks to master fly fishing from certified casting instructor Craig Daly and guest hosts. 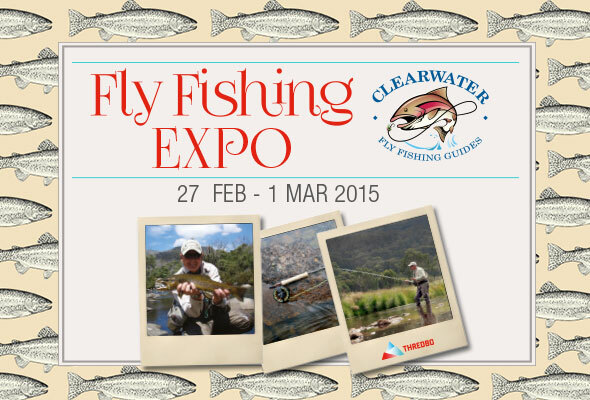 For any other enquries or please contact Craig Daly from Clearwater Fly Fishing on 0417 240 797. We are getting a lot of feed back from the Seven Gates area about fires and rubbish left all over the place. Please be mindful to take your rubbish with you and clean up after yourself. Please be sure to carry your PFD & fishing licences as NSW Maritimes are out. Nsw fisheries inspectors are working the Snowy Mountains area during the peak holiday season. So remember if you do not have a current fishing licence and on your person you will be fined. So for the sake of 5 minutes do yourself a favour. 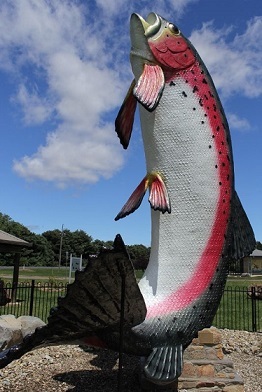 Reports from Eucumbene have been good with many fishermen coming in saying the rainbow are starting to come in closer best areas are Middling Bank, Rushes, seven gates, Yens Bay. We are still getting reports that the fish are moving around everywhere and rising use a slow retrieve then once it does get dark then go larger in the flies. Fuzzy’s, woolly buggers , Mrs Simpsons, Black Muddlers overall the fly fishing has been good with most fishermen have good results. Now we are starting to see more Mudeyes hatching thing are starting to pick up with the rainbows many fishermen are coming in reporting the fish are full off mudeyes. Things will only get better as time goes now so be ready i really think this is when the rainbow are about to start, Let’s hope! But overall things are good the lake is still rising slowly and there’s plenty off dragon flies about. Jindy is starting to Improve we are starting to get good reports around hatchery bay and up around sides bay and Kalkite most off the fishing has been late in the afternoons with some good hatches going on. if you have a boat a good place to try is over on the park side off Kalkite but remember to have some good lights on your boat you need to stay there into the dark. Most fish are taking Woolly buggers Olive and black day and night in the afternoons the black bead head Nymphs have been the pick with a long slow retrieve. Is fishing well much the same as Eucumbene and looking a treat yes the rainbow and brown are active the lake is rising and by the reports thing are starting to happen. Good reports off fish moving all around the lake but the action has been up around the top end off the lake. THREDBO RIVER Is fishing good with all the reports coming in most fishermen are happy still getting reports on rainbows in good numbers that’s a big Improvement form last year. Most fish are taking dry Flies Adams Parachute, Royal wulff, sparkle pupa, Klinhammers. Best places are paddy’s corner, bridge down, ski tube, Thredbo township. EUCUMBENE RIVER fishing is still going well on most parts off the river but your best fishing is late in the afternoons with plenty off fish rising the water is still cool and running well. Remember the best fishing will be late in the afternoons and it is fishing well. Reports have been good up in the river most fly fishermen have been getting browns and just a few rainbows but it’s all looking good up that way at the moment the insect hatch has been good and the fish are very active late in the afternoons. Nymph fishing with a strike indicator has been the best way to fish or a Royal wulff and Nymph. Bait fishing is picking up again best places are Midway point , Rushes bay, Brookwood bay, Muzzlewood Inlet, Try Villa Inlet, Yens Bay, Providence, frying pan and Braemer Bay. Overall Braemer Bay has been the best with some good rainbows and browns coming out on worms and Mud eyes. Over at frying pan the Mud eyes have been really good along with worms. Most areas are fishing well but overall the mud eyes and worms are doing the best in the last week Grubs have been the talk around seven gates, Cemetery Point and Anglers reach.